Do you want to create space and light in your bathroom? Then choose shower doors or walls in glass. This not only makes the bathroom look bigger, but it's also a modern and clean-cut interior solution. Our customised solutions for hammams, saunas and steam cabins are also a huge success. 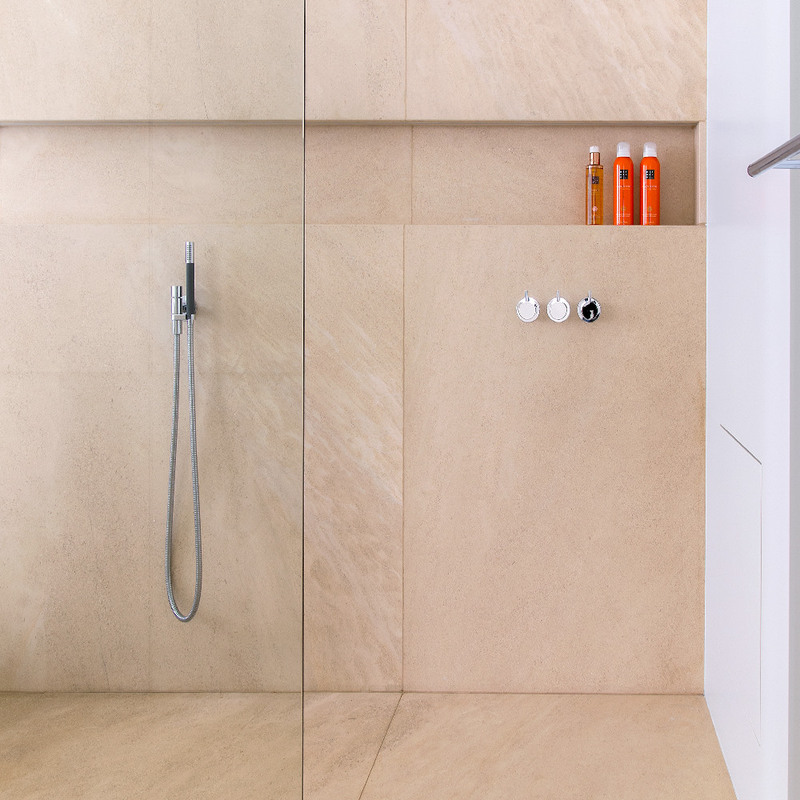 Moreover, the special ShowerGuard®-glass requires less maintenance; the ‘Easy-to-clean’-surface protects the glass against lime scaling and discouloration —and that with a life-long guarantee.